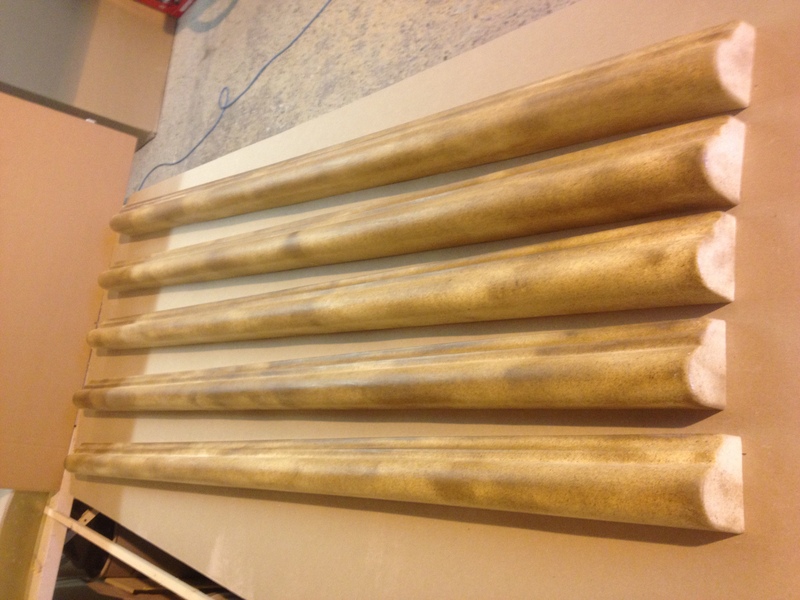 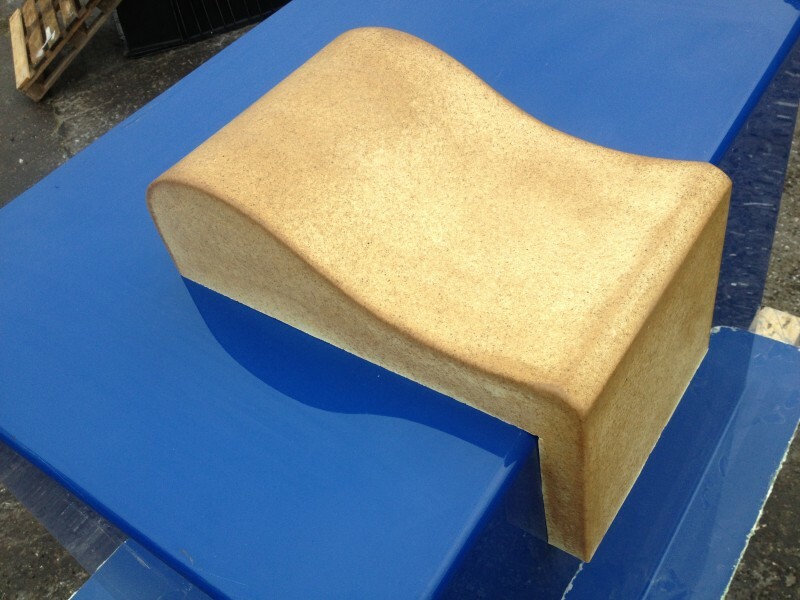 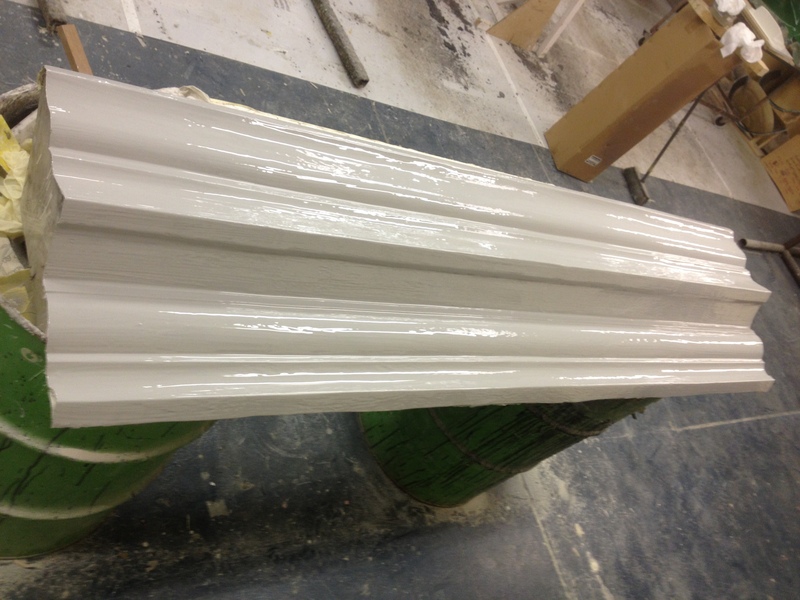 Get any shaped GRP replica architectural mouldings – fast, light, weatherproof and colour-matched to anything. Case study: Stowlangtoft Hall, Suffolk. Brief: Replicate & Replace damaged sandstone architraves and install GRP system to steel gutter. 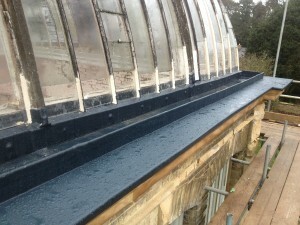 The magnificent hall set in the heart of rural Suffolk was built in 1859 and is now a nursing home. 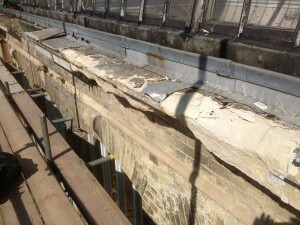 Over the years, extensive weather damage has ruined parts of the sandstone construction, including some of the huge ornamental architraves around the orangery (you can see the glass roof in the picture). 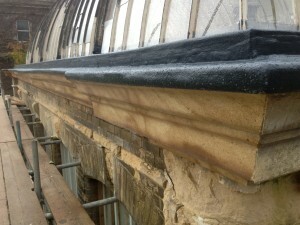 This picture clearly shows the state of the existing masonry and also the leaking steel gutter just between the lead capping and the glass of the orangery roof. 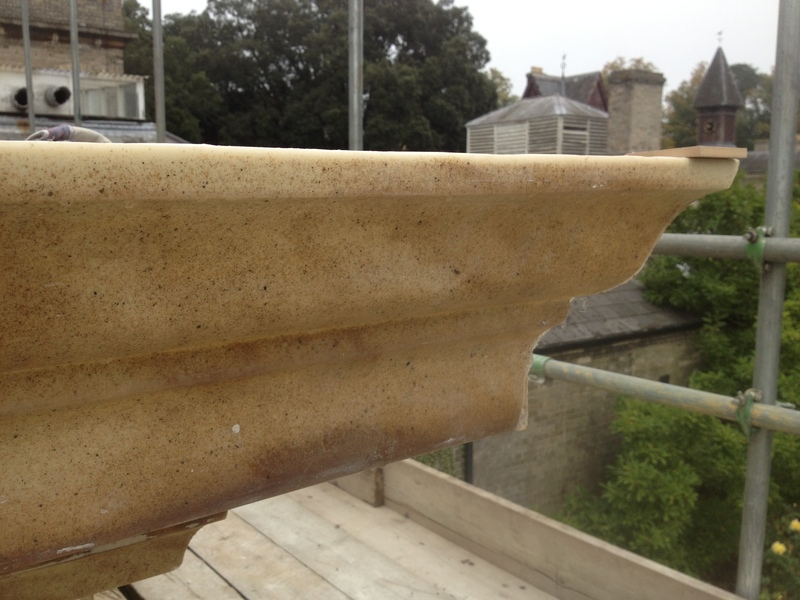 The affected stonework, along with a previous lining (of dubious nature) was stripped completely off, cleaned and allowed to dry. 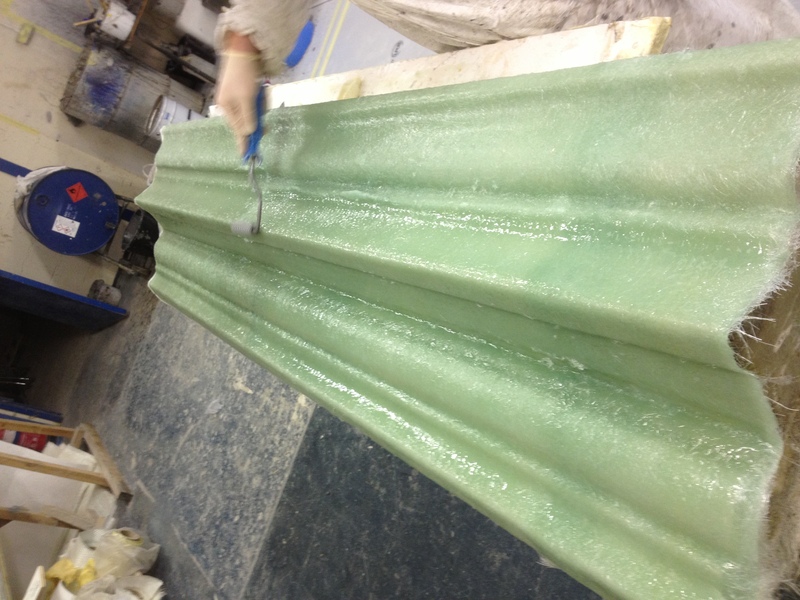 Meanwhile, back at the workshop, a mouldtool is created…. 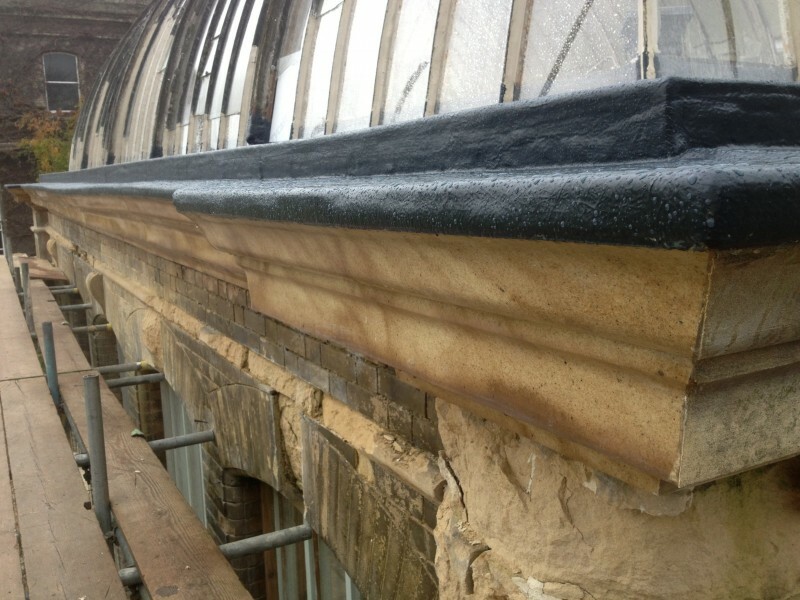 Newly lined GRP gutter all around the roof, over-cladding the replica sandstone architraves. Call us today to tell us abour your architectural GRP project. 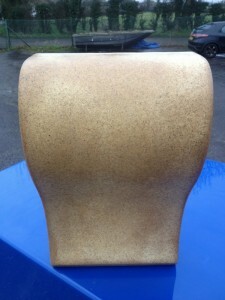 01362 821357 or fill in the form on the right of the page and we’ll get straight back to you.